Take a crave for wild parties, inspiring ambiences, deep vibes..a spoonful of love for the Asian culture, sunbathing, late night hours. Mix them smoothly, and place them all in the pearl of the Mediterranean sea, Malta, on the 25th of August 2018 at the wonderful Gianpula Complex. 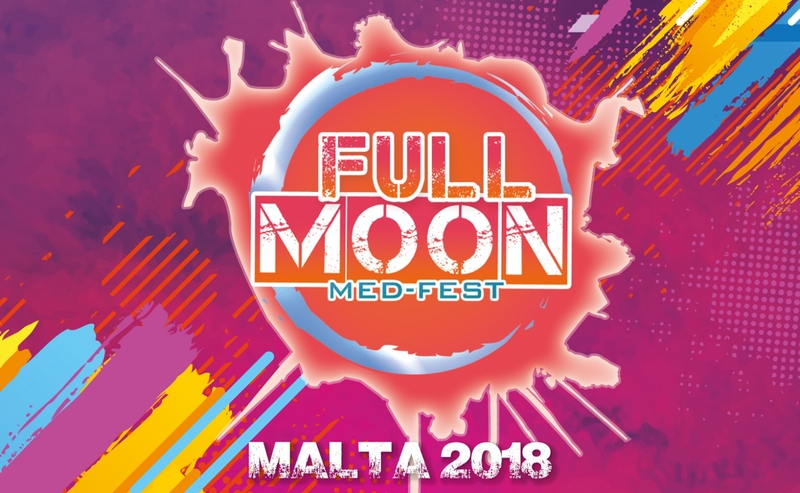 This is the FULL MOON MED FEST!!! A one-day music ritual, inspired by the Thai tradition. From the early afternoon sunlight till the setting sun and full moon's rise in the late hours of the dark night on three different stages with local and international headliners DJs. The initiation starts decorating your bodies, while dancers, acrobats, jugglers and fire performers will leave you in a constant state of awe, and when the dark comes, state of the art ultraviolet lights will glow you for a unique wild party experience!! There will be food stalls and vendor stands all around to keep you going during this incredible day while sipping your drink from the famous Thai buckets. So join the tribe, the Full Moon awaits you! !